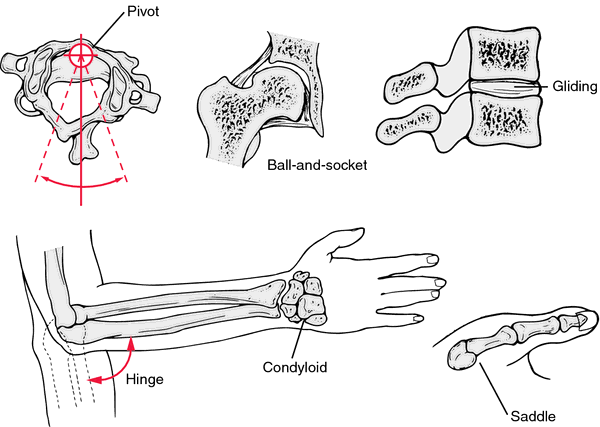 the ball and socket articulation of the humerus with the scapula. The joint includes eight bursae and five ligaments, including the glenoidal labrum that deepens the articular cavity and protects the edges of articulating bones. It is the most mobile joint in the body. Also called humeral articulation. syn glenohumeral joint synovial 'ball- and-socket' joint, the 'ball' of the head of the humerus articulating with the 'socket' of the shallow glenoid cavity of the scapula, which allows the shoulder to move around multiple axes - the greatest range of movement of any joint in the body, providing flexion, extension, abduction, adduction, circumduction and rotation. This flexibility sacrifices stability, which has to be maintained by the surrounding muscles and ligaments, notably the muscles of the rotator cuff; also the socket of the joint is deepened by the glenoid labrum, a ring of cartilage attached to the rim of the glenoid cavity to which the joint capsule, ligaments and tendons are partly attached. labral tears are not uncommon in throwing athletes, including superior labrum anterior-posterior (SLAP) lesions which can be visualized on MRI scan and require arthroscopic surgical repair. 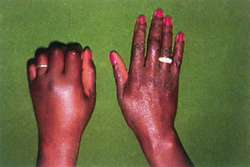 See also Bankart's lesion, dislocation; Figure 1. See fig overleaf . the region around the large joint between the humerus and the scapula. The shoulder is a shallow ball-and-socket joint, similar to the hip joint. 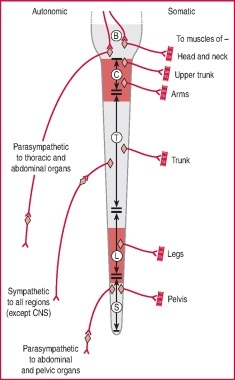 a fetal postural cause of dystokia; flexion of the shoulder joint results in the affected forelimb, it may be bilateral, is lying back beside the sternum; the shoulder joint prevents entry of the fetus into the pelvic canal. uncommon in most species. Occurs most frequently in dogs and cats associated with trauma. The commonest causes of pain around the shoulder joint are given in Table 1. Moreover, the contact between the racket and speeding ball (the speed of the serve in this study was approximately 14 m/s) caused a rapid increase in the impact force, which was transferred to the shoulder joint through the wrist joint. 2-4) As documented in this case, M columbinum infection may be associated with osteoarthritis of the shoulder joint and demonstrates that clinical veterinarians should consider the potential role of this agent in arthritis in pigeons. The athlete may recall numerous events where the shoulder joint dislocated and immediately popped back into place on its own without the need of additional aid. Minor tears in the shoulder joint upon heavy lifting may also be a cause of frozen shoulder. By indexing at the elbow, the device is able to gain complete positioning control of the shoulder joint. That soft tissue gives it the great range of motion we need, but it also makes the shoulder joint prone to injury. We present three cases of infection in or around the shoulder joint, highlighting some of the diagnostic challenges. The proximal CS origin for the shoulder joint was placed either at the acromion, shoulder-joint center, or trunk midline [7,12,14-15,19]. If they develop on the bones of the shoulder joint, they can rub on the tendons that attach the rotator cuff muscles to the bones of the shoulder, fraying and eventually tearing them. It's a shoulder impingement where the tendon running through my shoulder joint has inflamed to twice its normal size and is getting caught in the joint. A transverse image of the anterior shoulder joint is obtained by using the coracoid process medially and the anteromedial humeral head laterally as reference points (Fig.